To prepare for my client I cleaned the massage bed, trolley and bowls with surgical spirit. I covered the bed and trolley with bed roll and placed a large towel with a blanket on top to keep my client warm and a small towel for my client to lay her head, along with a head band to protect hair from products being used. When my client arrived I greeted her warmly and asked if she could read the client consultation form and fill in appropriately so as not to make her feel uncomfortable asking personal questions. Once she had signed the form I could fill in her record card and I asked her what she wanted from her treatment and what type of facial homecare she did. She did basic cleansing and moisturising at home and wanted to feel pampered and relaxed. I had prepared products for mature skin and stress relief. I asked my client to lie down on the massage bed and to move her bra straps in order for me to perform the massage; I then covered her with the towel and blanket up to her neckline. I asked if she was warm and comfortable which she was. I played a relaxation cd to enhance her relaxation. I sat at my stool alongside my trolley and behind my clients head and placed the headband around her hair. I softly asked my client to close her eyes and try to relax as I was about to begin the facial by removing her eye make-up and lipstick. I applied a small amount of soothing eye make-up remover to the back of my hand and using my finger I took a little and gently applied to my client’s eyes and lips. I used cotton pads to gently remove mascara and another cotton pad to remove lipstick. I then told my client I was about to begin applying pre-cleanser to her face, from her neck upwards to her forehead, I did this and then removed with damp cotton pads. Then I applied essential cleanser to my palms rubbed together and let my client know I was to apply, again from her neck upwards. I began at the neck then up concentrating on her chin, cheeks, nose and forehead. When I was satisfied that all make-up, dirt and debris was lifted I wiped away with damp sponges. I asked my client if she was ok and told her I was going to use a spritz toner and she would have a sensation of fine water spray across her face, so she needed to keep her eyes closed. I used multi-active toner and used a tissue to dry any excess moisture. I applied daily micro-foliant to my palms, rubbed together and let my client know I was to apply this to her neck, chin, cheeks, nose and forehead, after which I removed with damp sponges and used a tissue to remove excess moisture. I did not have access to a mag lamp or steamer otherwise I would have completed a full skin analysis looking through the lamp to detect comodones which I would have applied scaling fluid to these areas, steamed for five minutes, removed and applied Post-extraction fluid to return the ph balance back to the treated areas. I spoke gently and told my client I was going to move the blanket and towel to her chest so I could perform her massage. I applied massage cream to my palms and added a few drops of sweet almond oil, rubbed together and told my client I was to begin starting from her chest. I applied the cream over the chest, shoulders, neck upwards to the chin, cheeks, nose and forehead. Once I had applied cream I began my client’s massage never allowing my hands to lose contact with my client’s skin. Forehead stroking 8 to left, 8 half moon (under eyes), 8 circles, 16 to right, 8 half moons, 8 circles, 8 to centre of forehead. Pressure at temples and off. After the massage routine I spoke gently to my client to ask if she was ok and moved the blanket back over her shoulders. I squeezed some ready made multi-vitamin masque into a bowl, let my client know I was to begin applying a face mask using a soft brush. I applied mask to my clients neck, chin, cheeks, nose, forehead and placed cotton wool discs over her eyes and told my client I would leave her relax for a little while. I replaced facial water with fresh warm water adding a few drops of rose water, cleaned sponges removing remaining exfoliant and returned to my client gently placing my hand on her shoulder to make her aware I was back in the room. I sat with my client until the mask was ready to be removed. I told my client I was going to remove the mask and gently removed all traces of the mask using the fresh water and sponges, then removed any excess moisture with a tissue. I placed a small amount of active-moist moisturiser onto my finger tips and let my client know I was going to apply this to her face, which I did using light tapping movements with my fingertips across her neck, chin, cheeks, nose and forehead and smoothed very softly using very little pressure. The treatment was complete and so told my client her treatment was finished and asked if she was ok and if she felt relaxed. I asked her to open her eyes and compose herself in her own time. After a couple of minutes I helped my client sit up by holding her hand and supporting her shoulder/back. My client then got dressed and was chatting to me and so I asked her what she had thought about her experience. My client’s response was very positive. 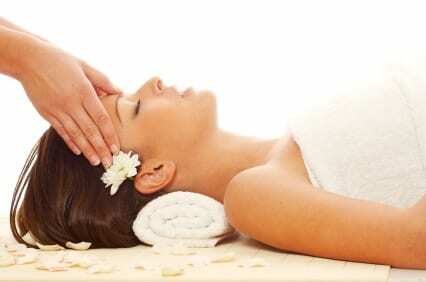 She said that she felt very relaxed, that her skin felt smooth and fresh and the massage was wonderful, this really pleased me as she has had quite a few facial and massage treatments over the years. She also said that my client care was very good and she would definitely return to me for more treatments-so I scheduled her to return in 4weeks! I advised my client to try and not apply any make-up for twenty four hours, drink plenty of water and to try and refrain from drinking any alcohol, she laughed and said no problem with the make-up but she did like a glass of wine at night! I was very pleased with my performance and extremely pleased with my client’s response. I feel I chose the appropriate products for my client’s age, skin and lifestyle. She is a very busy manager within a stressful environment so to know that I had achieved my aim of treating her well, helping her to relax, feel pampered and wanting to return was very satisfying for me. Once my client had left, I discarded all used pads, tissues, trolley and bed roll, returned all products back to my case and washed all bowls, sponges and brush. I removed soiled towels and headband ready to be washed. I wiped trolley and massage bed over with surgical spirit and placed bowls and brush inside a container with Milton sterilising fluid. I folded the massage bed and stool and placed back into their storage space. Finally I swept the wooden floor and mopped over it with anti-bacterial cleaner. If I was working in a salon I would have done the same routine but instead of placing bed and stool back into their storage space I would have placed clean bed roll over them and placed clean towels and blanket over massage bed and reset my trolley ready for my next client.